In 1950, Dózsa-Farkas András (1902-1982) started the industrial design training in Academy of Applied Arts, which is today the Moholy-Nagy University of Arts. Then he moved to the German Hochschule für Gestaltung where became the head of the department. He contacted all domestic companies and tried everywhere to prove the importance of design. 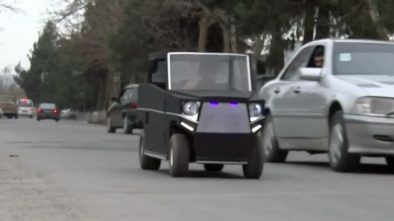 Among other things, they discussed the leadership of the Csepel Motorcycle Shop and participated in the design of the Tünde scooter. Dózsa-Farkas András bought himself a Fiat Topolino, which he really loved, but the German army had picked it up. So around 1948-1949 he decided to build a small car by himself. The welded frame was made of tubular elements, and the body was formed from hand-held duraluminite sheets. He had to create enough compromise as a designer. 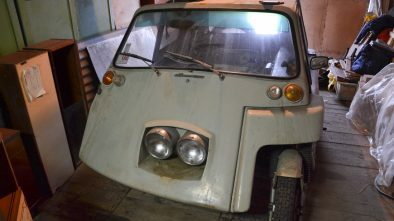 He bought a second-hand 250cc Puch engine for its 3-wheeler. 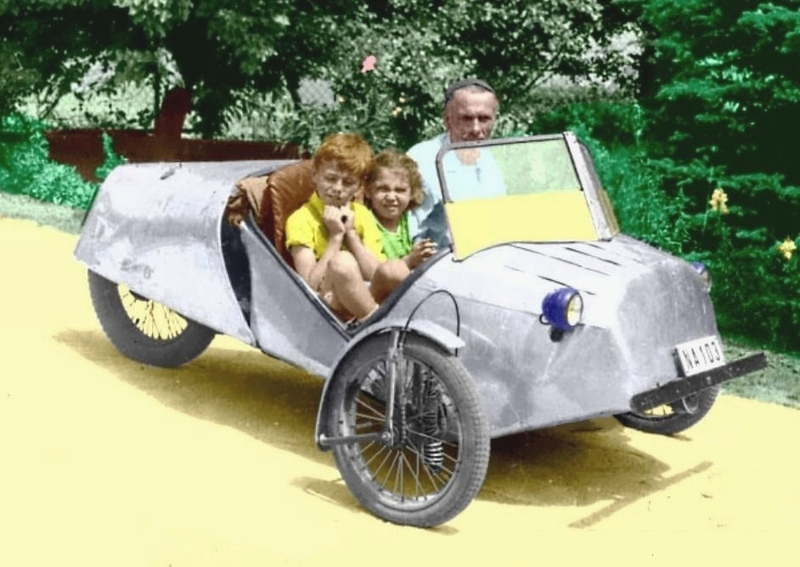 He used the microcar to travel with 2 children. Top speed was about 80 kph, and according to the memory of younger András Dozsa-Farkas, he traveled across Hungary. A retractable and fixable “rain cover” was provided. 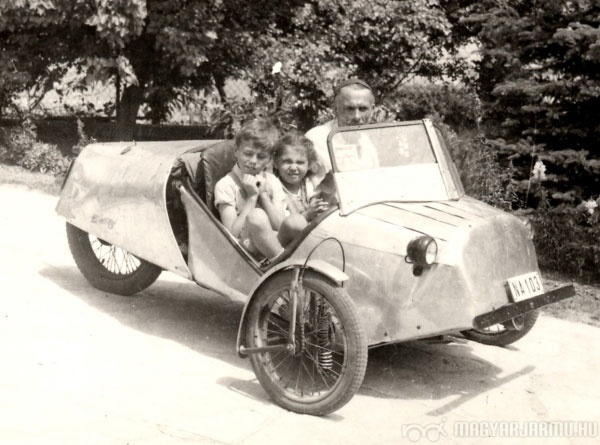 The homemade microcar has a sidecar motorcycle license number, and was used for 10 years.